Milk is a common ingredient in many recipes. In addition to its common use, poured over cold cereal, milk is essential for making breads, pancakes, many main dishes, and desserts. There are a number of different types of milk and it's easy to become confused about what kind to buy for your needs. In this section of tips you'll find information about organic, soy, and regular cow's milk. 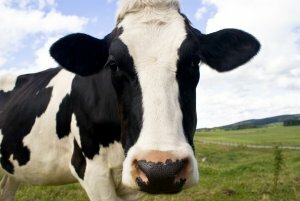 The following articles are available for the 'Milk' topic. Click the article''s title (shown in bold) to see the associated article. Do you want to be healthy and help save animals? Drink organic milk. There are so many good reasons to choose organic milk over inorganic milk. Read about them here. Soy milk is becoming more popular in cooking circles, and as such you may want to learn the proper way of using it. While it could definitely lead to some interesting situations if you are not careful, using soy milk isn't all that difficult.